Some systems here are easy recommendations, because they are the output of a single brand. Others are more a reflection of listening tests along the way. This one is slightly different. It’s taking two known products that work in a predictable manner, and applying – sight unseen, and sound unheard – a third in the hope that they work together. It’s a little more than ‘throwing a system together’ because the idea here is that the character of player and amplifier works in dynamic and harmonic balance with the loudspeakers. Fortunately, it works entirely as expected. Phew! The system here comprises Hegel electronics and Graham Audio-designed Chartwell loudspeakers. The Hegel equipment is not only ‘known’ to us, but is a firm favourite round these parts, and both products in this system have been reviewed in their own rights. Indeed, the Mohican CD player is presently our Disc Player of the Year. 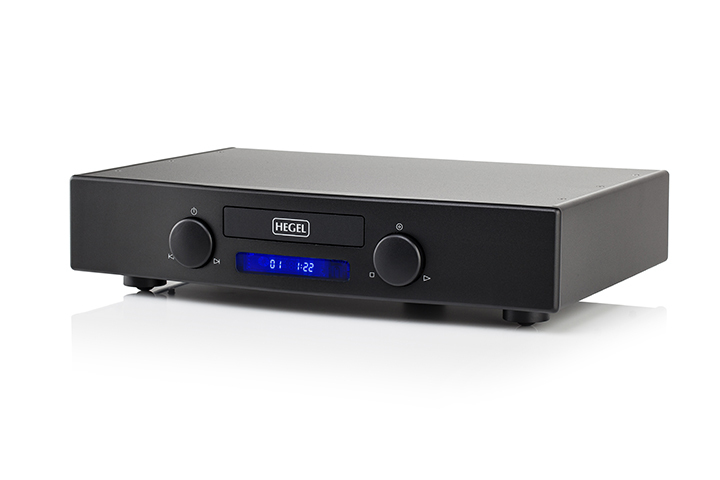 As both the Hegel Mohican disc player and the Hegel H80 integrated amp have been reviewed by Hi-Fi+ (in issues 139 and 107 respectively), we’ll not go over too much old ground. Suffice it to say the CD player is a pure 16-bit, 44.1kHz design with a proper, dedicated CD-audio transport mechanism. OK, so it’s a pure CD player that draws heavily from the company’s top HD30 converter, and that means its own 32-bit AKM DAC chip is barely breaking sweat in handling CD-era PCM. The Hegel H80 amplifier meanwhile was the first in Hegel’s redesigned approach to amp making, including more digital audio products at the deliberate expense of additional analogue inputs, making the amplifier more of a ‘now’ hub in the process. The 75W amp – codenamed ‘PIGLET’ in design – uses a 24-bit, 192kHz, AKM4399-based DAC sitting on top of the analogue line-stage, but in this context its the combination of XLR and RCA line level inputs that garner our attention, as these are how the Mohican and H80 work best. Personally, I prefer the single-ended options in both devices. Both devices benefit from common Hegel design practices, most notably Bent Holter’s SoundEngine local error cancelling system in the amplification sections of both devices. For more details on these two devices, see the reviews in issues 139 and 107, or on www.hifiplus.com. Instead we’ll focus more on the Chartwell LS6 loudspeakers. Chartwell is one of those great names from audio’s past. It was also one of the original licensees of the BBC LS3/5a, and minty loudspeakers from the early 1970s change hands for breath-taking amounts, especially among Japanese audiophile collectors. The brand didn’t have quite the staying power of the likes of Spendor, however, and the name laid fallow, lost to the annuls of audio history until Paul Graham of Graham Audio picked up the brand, and restarted it with the LS3/5. The LS6 is a sort of ideal ‘tweener’ product, coming between the LS3/5 and the LS5/9 in the Chartwell and Graham Audio ranges. And as ever, the BBC connection is kept by Graham’s use of the design services of Derek Hughes, son of Spencer Hughes, who worked in the BBC’s Research & Development centre at Kingswood Warren in the 1960s and early 1970s. Many of the classic BBC loudspeakers were ‘Spen’ designs (Hughes later co-founded Spendor with his wife Dorothy, the brand name being a portmanteau of ‘Spencer’ and ‘Dorothy’) and in Derek, the apple has not fallen far from the tree. Also, Chartwell continues to use Volt loudspeakers specially made for the company, and features those thin-walled cabinets that the BBC made so famous.